This lovely volume contains a dozen thoughtful essays and dozens more quotes and quips that even without illustrations would comprise a solid survey of St. John's University in Minnesota. As it is, the book's spectacular photography, both contemporary and archival, adds depth and richness to the prose. This collection of essays, poems, sidebars, and many photographs-both black-and-white and color-presents a century and a half of Benedictine life and education in central Minnesota. 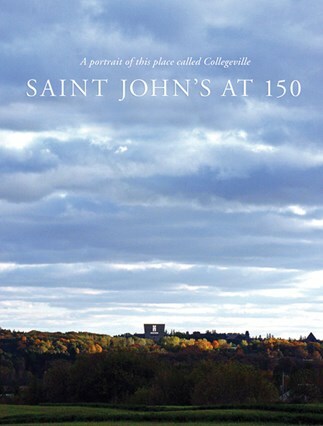 The excellence of the leadership of St. John's Abbey of Collegeville, Minn., is beautifully portrayed in the fine quality of the content and layout of this commemorative volume marking the sesquicentennial of Saint John's Abbey and its monastic and lay community. Composed of essays by monks, staff, and friends on various features of the abbey's long past, this beautifully printed volume, often matching black and white historic photos of yesteryear with the same scene today in full color. Readers who enjoy The Bible Today can thank this extraordinary Benedictine community in Minnesota for making it all possible!